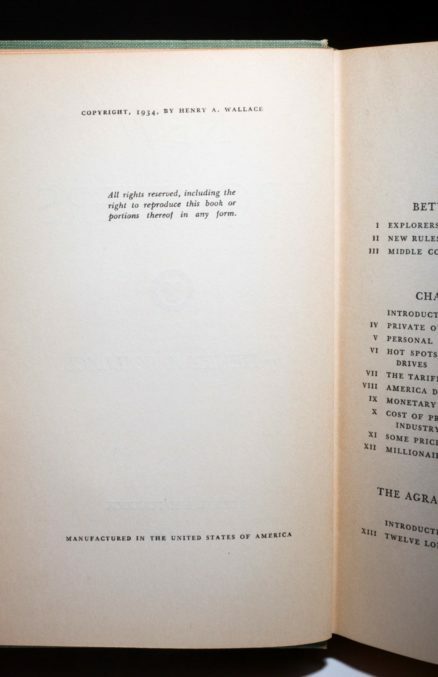 Octavo, vi, 314pp. 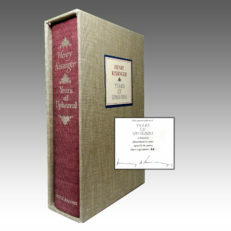 Green cloth, title in gilt on spine, embossed decorative illustrations on covers and spine. 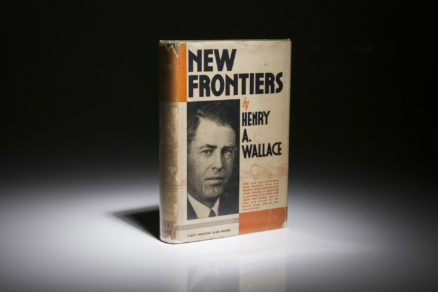 Publishers first edition dust jacket, $2.00 on front flap, toning to spine, chips along top edge of spine, bright illustrations on covers. 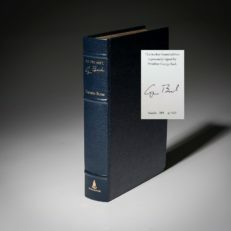 Signed by author on first free endpaper. 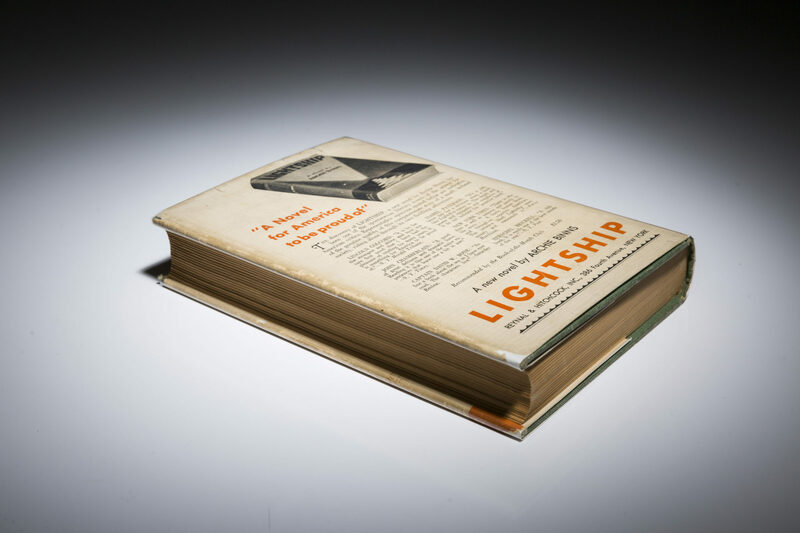 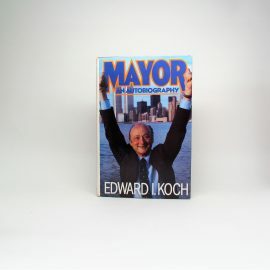 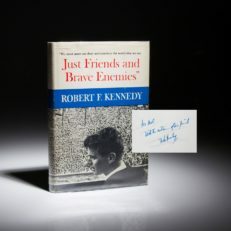 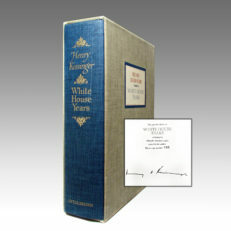 Scarce to find this book in first edition dust jacket and incredibly difficult to find a signed copy. 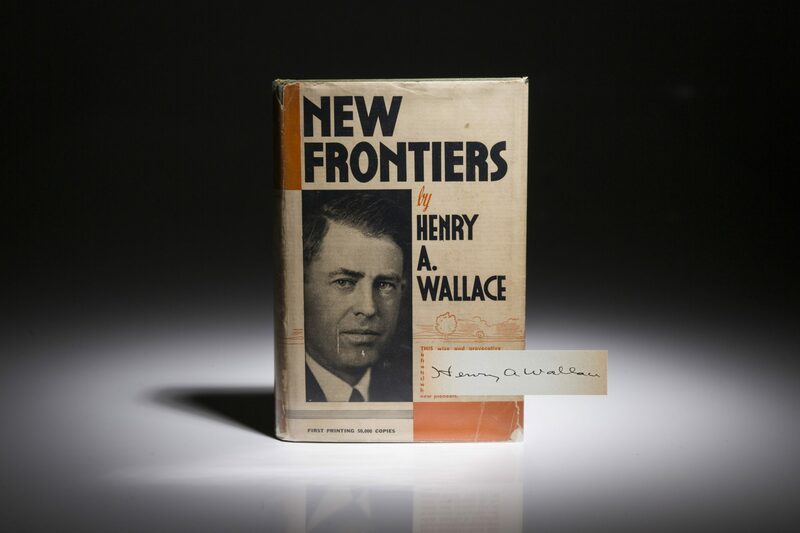 Comments: Henry A. Wallace served as the 33rd Vice President of the United States alongside Franklin D. Roosevelt from 1941-1945. 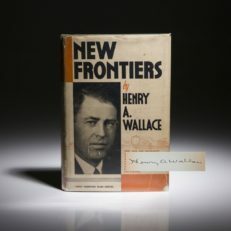 He was considered too liberal for party leaders going into the 1944 Democratic National Convention and was replaced by Harry S. Truman. 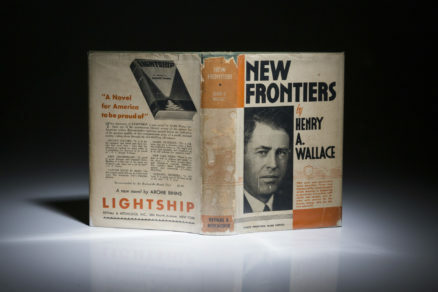 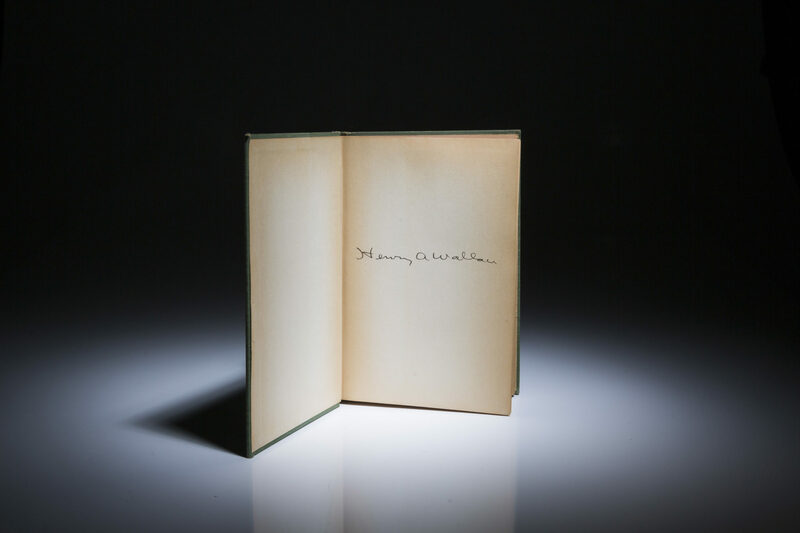 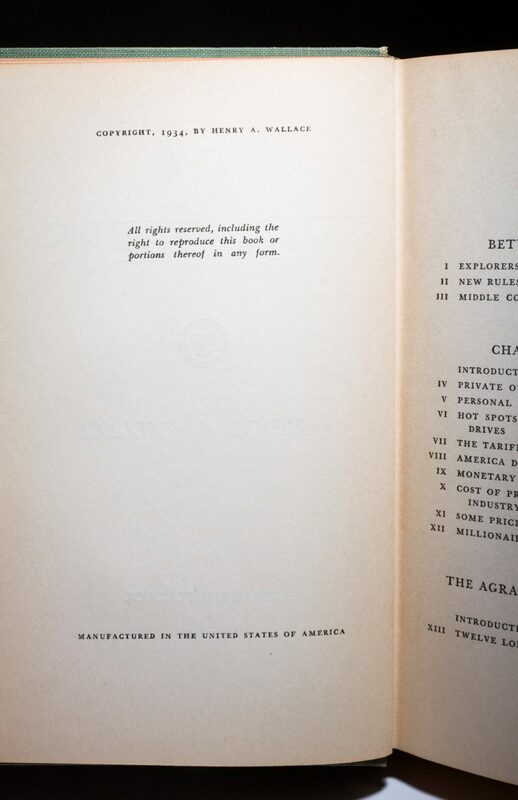 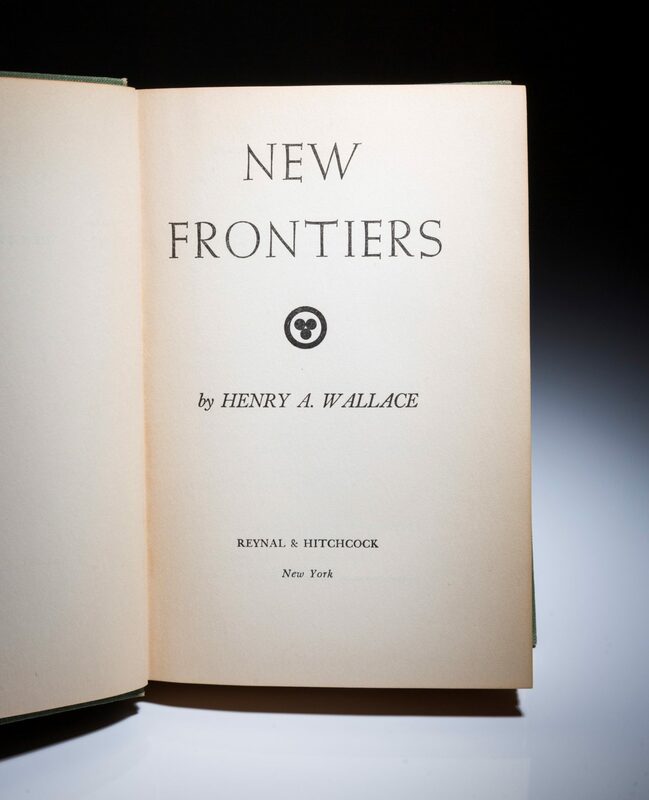 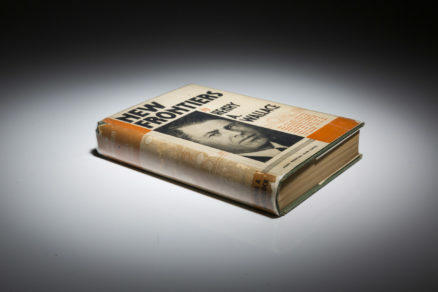 This book, New Frontiers, was published by Wallace as he served as Secretary of Agriculture. He advocates for Roosevelt’s New Deal policies, noting that the public swing from conservative to liberal happens only once in generation and the nation should take advantage of the progressive public sentiment.